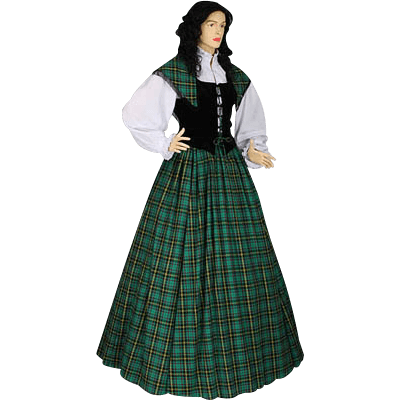 The Traditional Scottish Tartan Ensemble is a beautiful four-piece dress set that is modeled after medieval-styled clothing and traditional Scottish garb. The ensemble is made from high-quality materials and is great for a variety of events. This four-piece combination consists of a chemise, a bodice, a skirt, and a shawl. The chemise is made from white cotton and features a collar that reaches mid-neck. It also has full-length loose sleeves that are bound in white cuffs at the wrist. The bodice is black and made from high-quality velvet, which makes it very soft. The skirt is made of tartan fabric, which is 65% cotton and 35% polyester. The fabric is predominantly green, with black and yellow lining. The shawl matches the skirts tartan fabric and pattern, and features a black fringe. The bodice of the Traditional Scottish Tartan Ensemble is fastened via lacing in the front, making it highly adjustable. The dress, pictured here, is worn with a petticoat, which gives the dress shape. 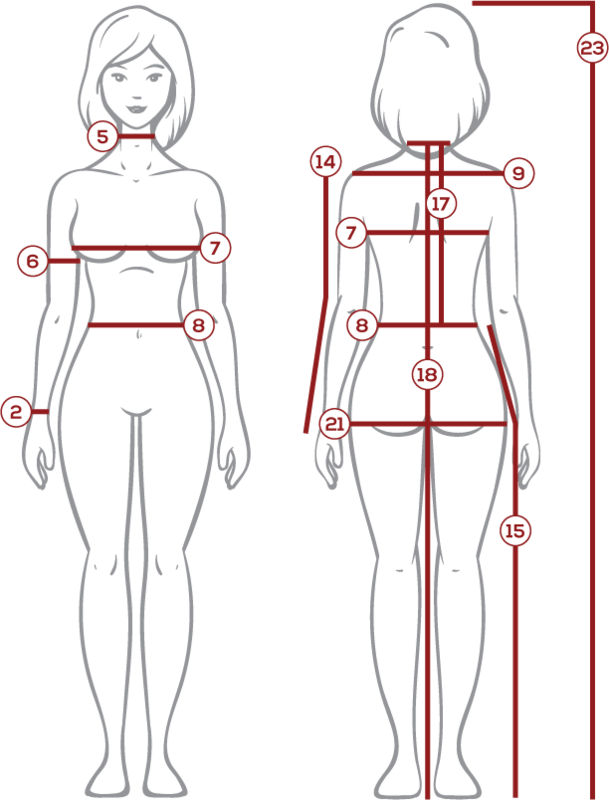 A petticoat, however, is not included with the dress, so if you want the dress to retain this shape when worn, a petticoat or hoop-skirt can be purchased separately. The dress can also be worn without either a petticoat or a hoop-skirt without any problems whatsoever. 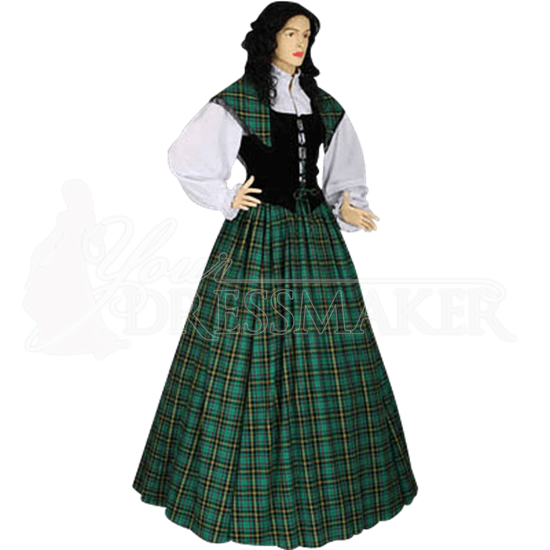 Not only is the Traditional Scottish Tartan Ensemble great for any Scottish women who want to get in touch with their roots, but it is also a beautiful dress to wear to any medieval or renaissance-styled events. 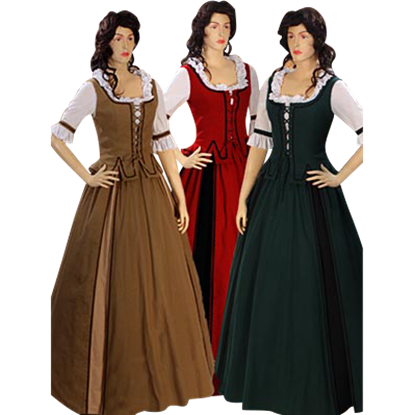 In the Country Peasant Ensemble, you will look just like a medieval serf might have, all those years ago. This stylish ensemble is made from quality materials and consists of three individual pieces, a bodice, a skirt, and a chemise.